When starting a business, entrepreneurs often have to do everything themselves. It is difficult to find others to work for low pay and uncertain prospects. To help, local entrepreneur and angel investor Ben Chew, who has been in the recruiting business for 13 years, set up startupjobs.asia in mid-December last year. 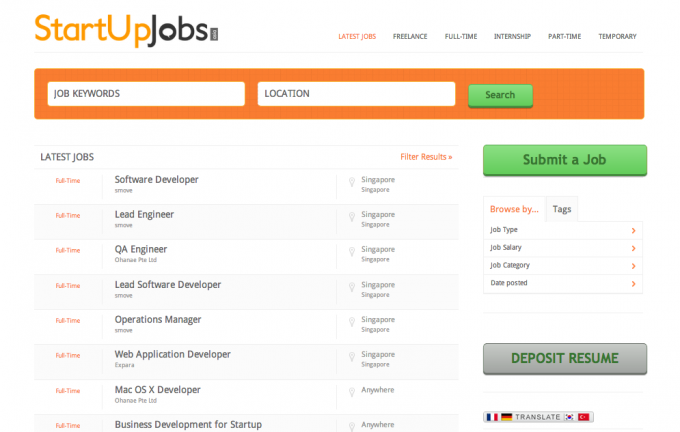 The site is a platform for startups to post job advertisements so they can find the people they need. Jobseekers then contact the startup directly. Jobseekers can also deposit their resume for companies to look at. Since the feature was started a month ago, about 400 people have done so. “Our aim is to ‘sexify’ jobs at startups and grow their human capital eco-system. In short, we want to be the voice for startup hires,” says Mr Chew, who is active in the startup scene here. Now, there are more than 300 jobs posted on the site from about 200 companies. Some 90 per cent of the advertisements are for jobs in Singapore, but there are also postings from markets such as Malaysia, Thailand, Vietnam, Sri Lanka, India, Taiwan, China, and Hong Kong. Jobs can be sorted by full-time, part-time, internship or on a temporary basis, or by salary and by type. Use of the site is free, and Mr Chew intends to keep it that way for basic features. As the job matching is done offline, Mr Chew does not know the exact number of matches made. Mr Chew is running the site full-time. Four other people are helping him with social media, technical issues and feedback collection. BT-YIF asks Mr Chew about hiring in startups. Q: How is working in a startup different from a corporation? A: We set up a booth during a recent National University of Singapore (NUS) career fair and received a number of queries on this question. Students seem to be keen, but ask how is it like, how is it different from other jobs. Jobs at startups and jobs at corporates are very different. A lot of things might not be as structured. Some startups start work at 10am and knock off at 7pm. Yet, even if you go back home, you’ll still be working, so you could end up working very late. But your voice will be heard more, compared to if you’re working in a very established corporation with 500 staff. Q: Why do startups in Singapore need to hire? A: A good idea is worth nothing if there are no talented people coming together to build a good product or platform and driving the business thereafter. Like all other businesses, early stage startups need to grow their traction, revenue and scale their business further. Startups mainly hire for growth needs, as well as to fill up gaps within the existing team. Q: What kinds of positions are the most common, and why? 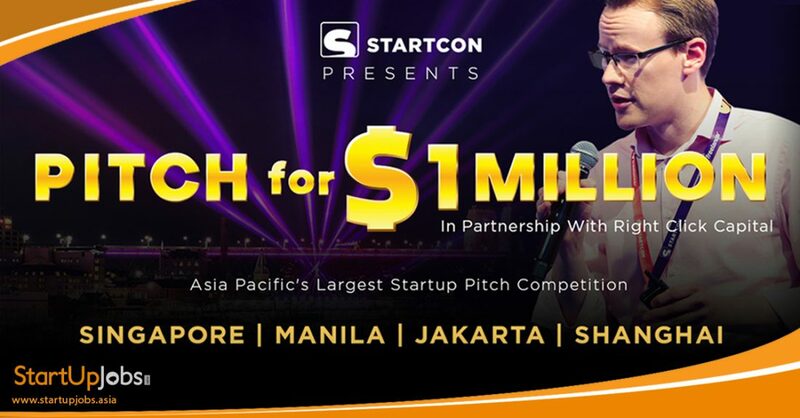 A: Within Startup Jobs Asia, we see posts for various roles: technical, business development, social media or community. Around 75 per cent of the roles are technical or development-based. This means startups need a lot of coders and hackers who are familiar with various computer languages, like PHP, Ruby on Rails, or Python. The shortage of technical talent is not confined to startups. Banks and multinational companies, who pay a good salary, still face this problem. So it is inevitable that startups will have a shortage. Q: What problems do startups face in hiring people? A: Singapore has an unemployment rate of 1.8 per cent in Q4 2012, leaving any average jobseeker more jobs and employers to choose from. It is a jobseeker’s market. The average jobseeker prefers mainstream jobs. The perception of a lack of stability, compensation limitation and the recent tightening of foreign employment regulations make it harder for startups to hire. In addition, startups may have less resources to invest in channels to help them hire the right talent, such as headhunters. Q: What should they look out for in their candidates? A: Different stages of a startup require different types of talent. An early-stage startup cannot even employ people formally and pay them a salary. They must find someone prepared not to take a salary, who is of a pioneering personality, with a risk-taking approach. For example, if I want to hire salespeople, I can say, I can offer you a monthly salary of $2,000, and you get a small commission if you hit a target. Or say, I won’t offer you a salary, but every deal you close, I’ll give you a commission made up of 50 per cent of the deal. If somebody prefers the first option, they want a safety net – which is not wrong, but real sales people are able to go without a basic salary and have a possible high commission, because they know they can produce. A successful hire should also be ready to roll up his sleeves to get tasks done. For example, if you’re in a business development role, like sales, and when something happens, you can’t say you don’t know anything about marketing the brand or product, which is different from closing a deal. In a small startup that only has four or five people, you need people who are willing to value add, contribute, and help out other colleagues. You can’t have people where it’s all about them. Startups need go-getters and team players who can come together and meet a common objective. Q: Where can startups look if they want to hire? A: Startups can look for job portals that are already established in the market. Generally, jobseekers who come to our site are oriented towards joining a startup environment. Some other avenues can be friends and referrals, networking events, hackathons, job fairs and social media. Q: What tips can you give on hiring? A: When startups put up hiring advertisements, the job description should include a quick overview of their business, their unique proposition, responsibilities and requirements of the role. Adding a right ‘pull factor’ will help attract more eyeballs. Founders need to know what kind of talent they need, and put them in the right role at the right time. At every stage of a startup you need people to help grow the business further. But at some point you need people good at execution and maintenance. You don’t want to hire someone overqualified and overpaid when you’re still bootstrapping or funded with just $200,000. Also, always aim to hire someone better than yourself. Over the years of running my own business, I realised this is a common problem among many business owners. A lot of them know almost everything, from business development to social media to marketing. They have an area where they feel they are the best. But they tend to hire people they are comfortable with, instead of people better than themselves who can help the company grow into a giant. Article first appeared on The Business Times.